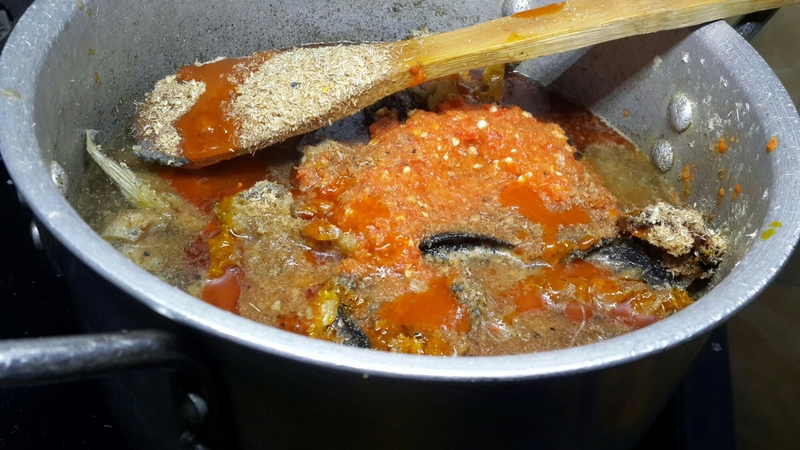 Oha soup is native to the South Eastern Nigeria. Oha (also spelt and pronounced as Ora) is a delicate vegetable and has a very unique flavour. 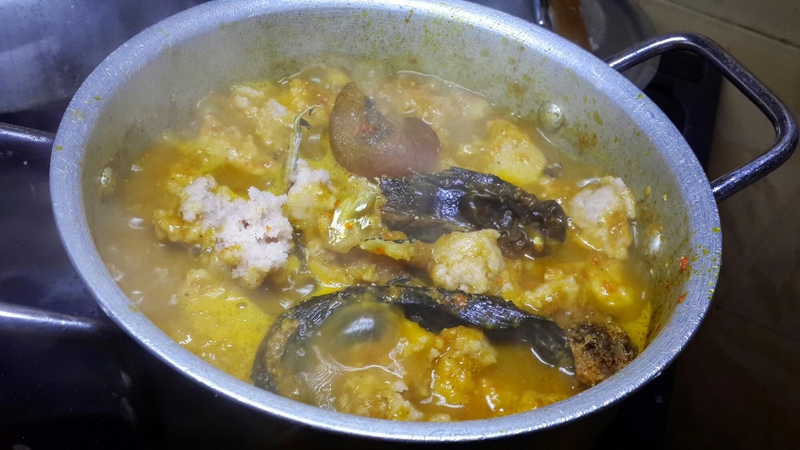 The first time I tasted Oha (Ora) soup was in 2009 in the restaurant of the High Court of the FCT. I had gone to court early that day and by lunch time I was famished, especially after sitting through all the proceedings, I was in the mood for something more exciting. Food is exciting, that is why I don’t miss practice. So back to my story, they had Oha on the menu, I had no idea what it was but I was willing to try. I was hooked! I remember when I had my son in 2011, I came down with a bad flu, adjusting to my new life as a mum was stressful. My husband’s aunt made me a bowl of spicy Oha Soup. That was the only food I could ingest, it worked like a charm and my appetite came back. I love Oha Soup. 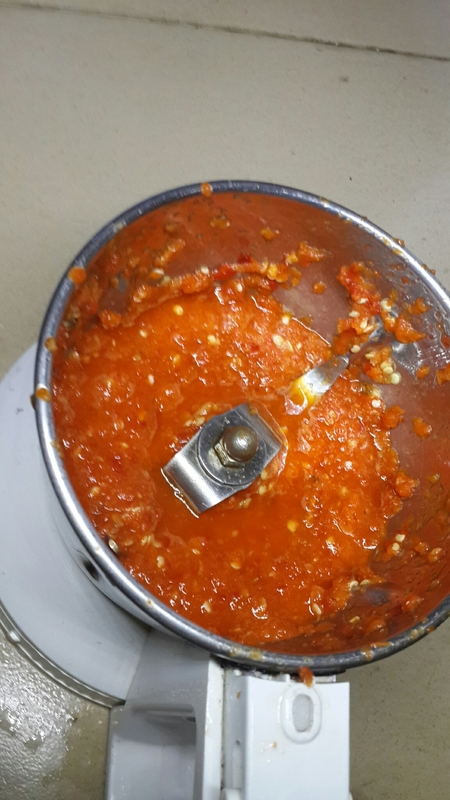 • Fresh peppers (scotch bonnet / habenero /ata rodo) – i like the flavour of fresh Cameroon/Nsukka pepper so i use it. It’s yellow scotch bonnet-. Grind pepper and set aside. 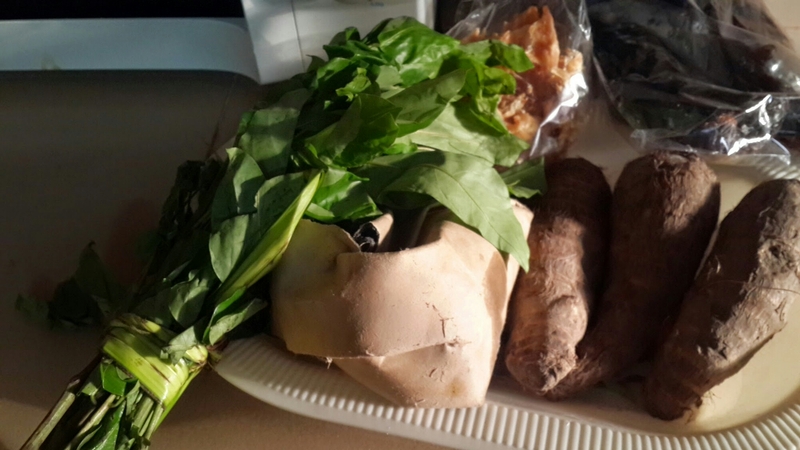 Wash and boil the cocoyam corms till soft. Wash oha leaves. 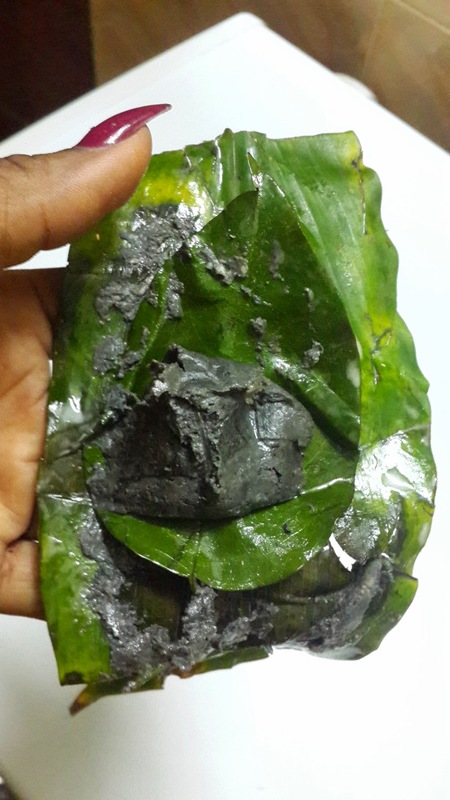 Using your fingers, cut the Ora (Oha) leaves into tiny pieces. It is said that this technique is to prevent the vegetable from becoming darker in colour which happens when you cut the ora leaves with a knife. I’ve tried cutting oha with a knife and it didn’t turn dark, but then i cut and used immediately. I’d say whatever rocks your boat. Set it aside. 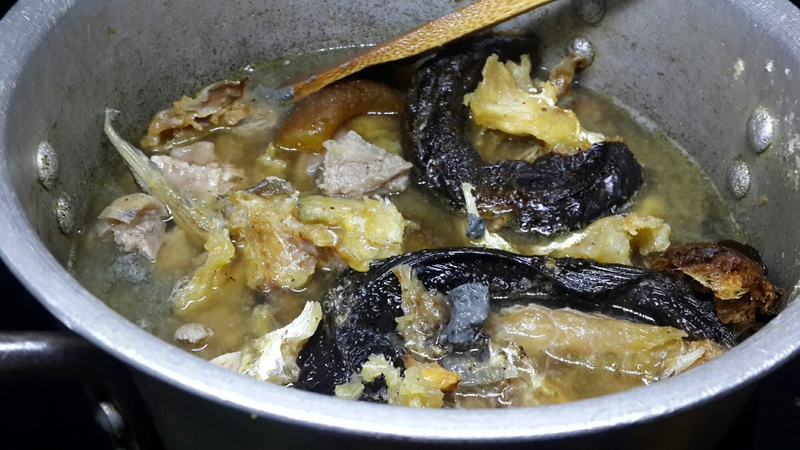 Season and boil the meats, when then are tender add stock fish and dry fish. Add the pepper, ogiri Igbo and ground crayfish and cook for 10 minutes. 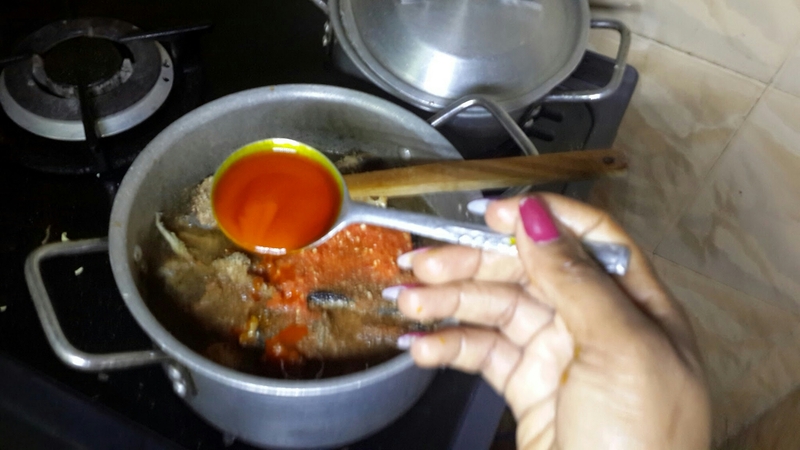 Add the cocoyam paste in small lumps and then the palm oil. If using achi, just stir it in, starting with 1 tbsp first. 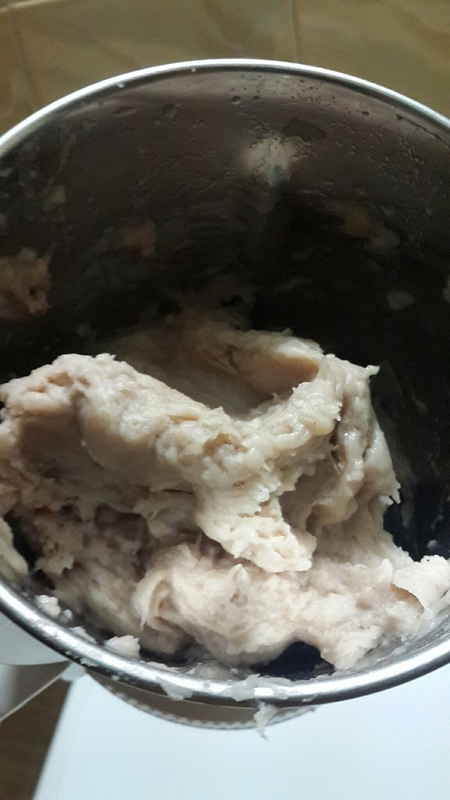 Achi is a thicken and it sometimes has a slightly slippery consistency. 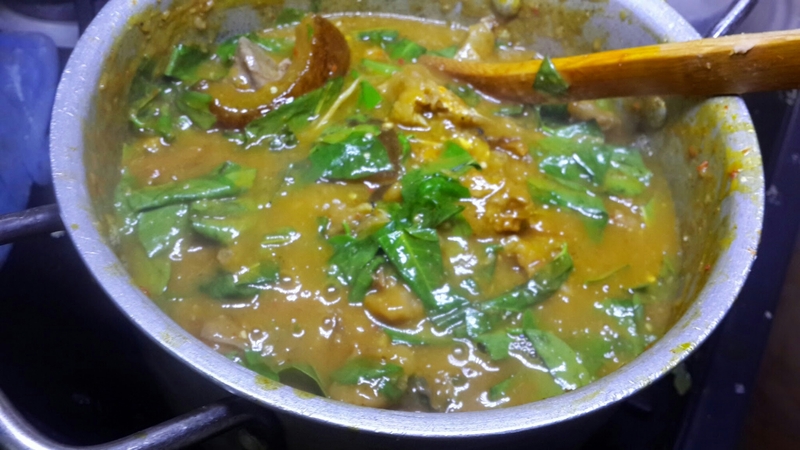 Add the oha (ora) leaves and leave to cook for about 3 – 5 minutes with the lid off. Serve with your favourite starchy side dish.